Is my Iceland itinerary good? Always plan more time to go from point A to point B than what Google says. 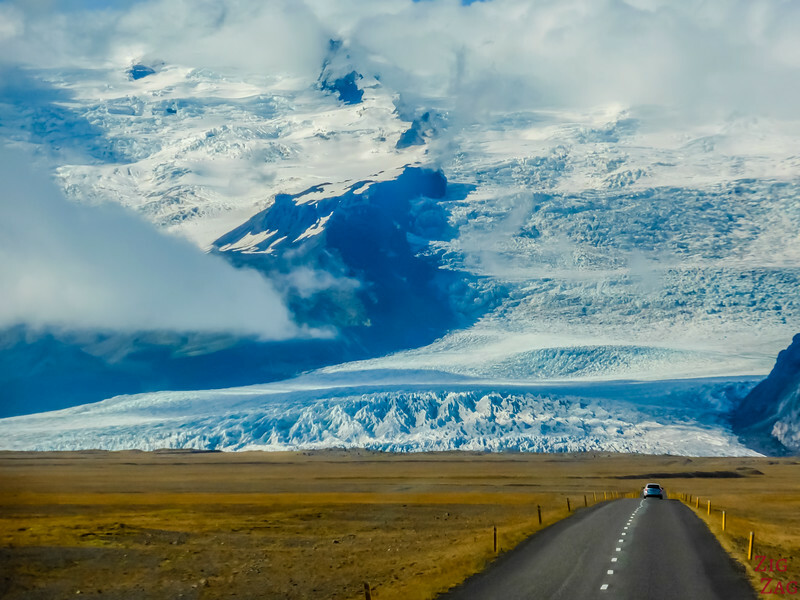 I can assure you that on any Iceland road trip you will want to stop all the time to admire the scenery. Know that F-roads (difficult non paved tracks with river crossings most of the time) are only opened from mid-June to sometime in September. Dates change every year depending on the conditions. Most of those roads lead to the central highlands. Some areas have sparse accommodations. If you don't book early or travel off peak season, you might not be able to find a place to stay right where you would like. Some extra kilometres might be required. Make sure you select a company that has a good network around the island to help you if needed. Want to optimize you itinerary for the Northern Lights? No so easy, it is not predictable in advance as it depends on the cloud coverage and magnetic activity. What do you need to pack for Iceland? Of course, you can go anywhere if you are willing to drive and want to pack your days. But below is a simplified map just to get your oriented. It gives you an idea of what areas could be comfortable to visit within 3, 5 or 7 days. Those timeline are base on a Reykjavik departure with a normal car (no 4WD required). I have just noted the really big highlights on this map. But there are many other fascinating stops along the way. What can you see in Iceland in 4 days? Even with a short break in Iceland, you can see quite a lot. There are lots of highlights within 2 to 3 hours of Reykjavik. 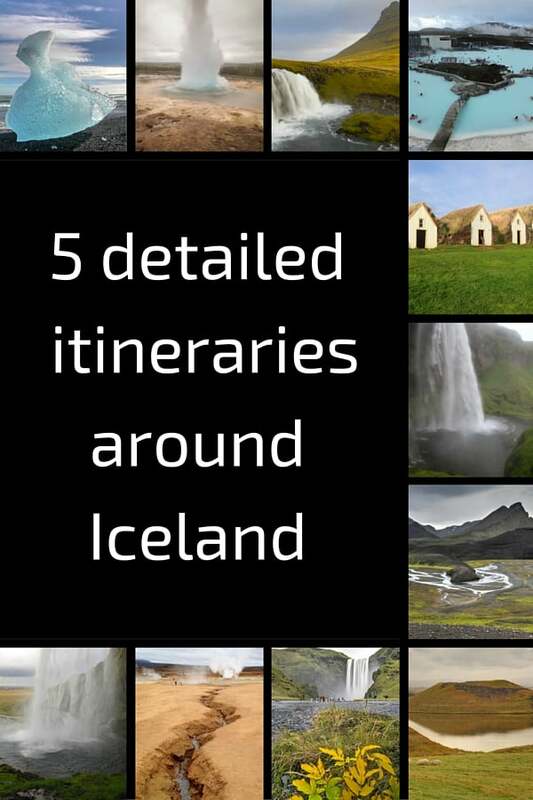 The 4 day Iceland itinerary below is Reykjavik-based, to avoid packing every day. Don't have 4 days? What can you see in Iceland in 2 or 3 days? Icon of the peninsula, the mountain has such an incredible shape with waterfalls at its foot. A place loved by photographers. 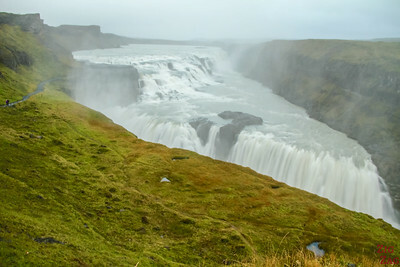 Next on your 4 day itinerary in Iceland, you can tour the famous Golden Circle with some of the most famous sites in the country. 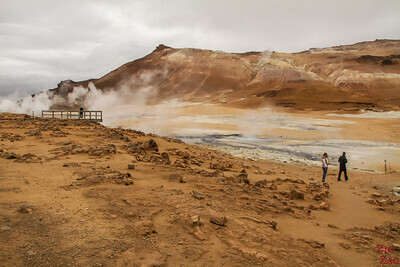 The Haukadalur Geothermal area is famous for Geysir. 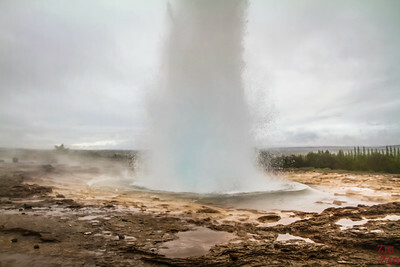 But the geyser you will see erupt every 5 to 8 minutes is Strokkur. 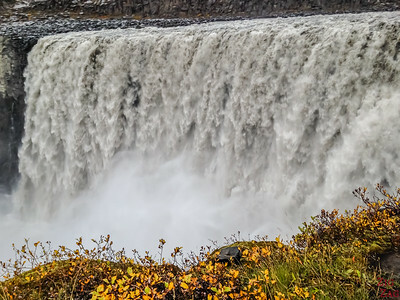 Gullfoss is one of the most famous waterfalls in Iceland. The impressive falls is over 2 steps with an impressive surround sound. Next you can discover the wonder of the South Coast of Iceland. Quite a lot of driving today to discover some of the best locations in South Iceland. So you should not stop too much for landscapes and hit the main sites. 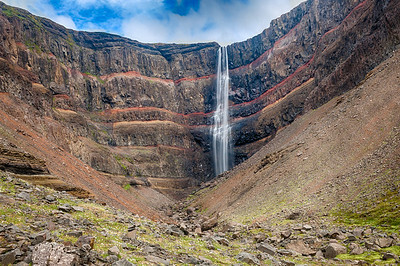 Discover the 60 metre high curtain waterfall. It is quite impressive and you can walk to its foot or hike up for a view from above. 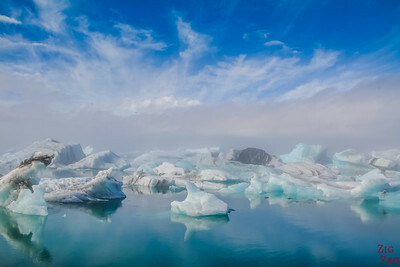 Here is a favorite for many visitors: the beautiful lagoon of Jokulsarlon where icebergs detach from the glacier and float near you all the way to the sea. 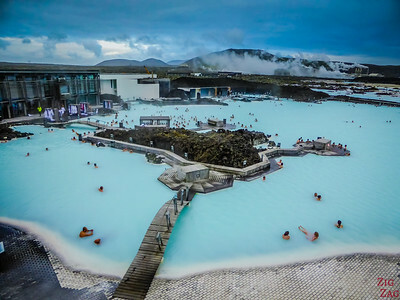 And you can end your Iceland break with a relaxing day enjoying the capital city and heading to one of the most famous spas in the world : The Blue Lagoon. If you do not want to drive, book a tour with transportation and entry tickets. It is quite practical with almost hourly departures. Check details and prices. 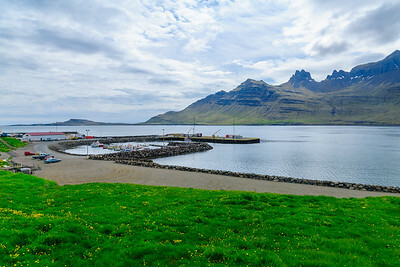 For you accommodation on the Snaefellsnes Peninsula consider staying in the town of Grundarfjordur to be able to admire Kirkjufell at sunset and sunrise. 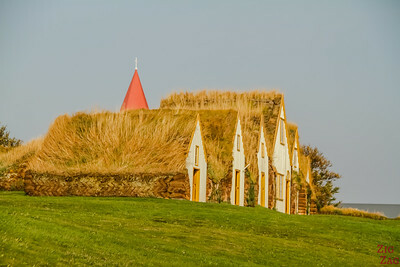 Check out the accommodations in Grundarfjordur. Or head to my Iceland Accommodations Article for more suggestions. 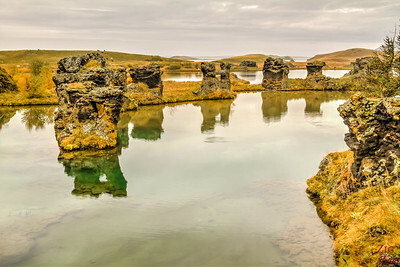 Cross between the peninsula and the Golden Circle. 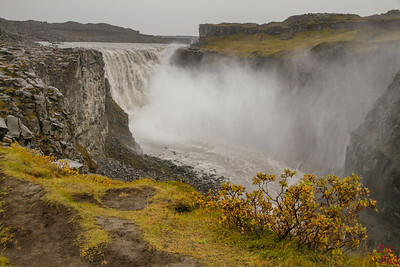 On the way you can stop at the Hraunfossar waterfall and then cover the main sites of the famous Golden circle route. 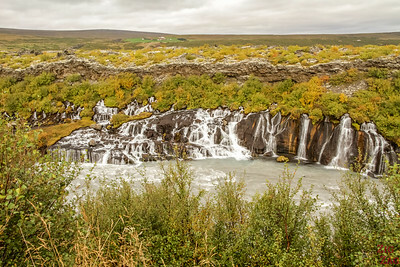 A unique waterfall where thousands of small falls flow out of lava rocks. It creates more sound that one would imagine! 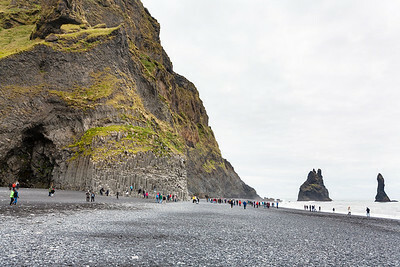 Discover some of the landscapes of the West half of the South Coast up to Vik. The feather Canyon is a great place to go for a walk and admire the tortuous structure created by the water. Waterfall at the end. 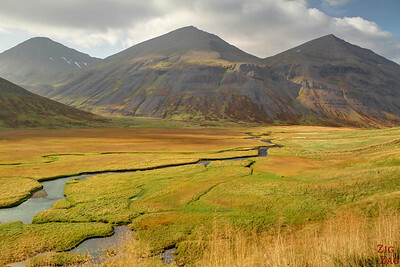 Explore the Skaftafell National Park. 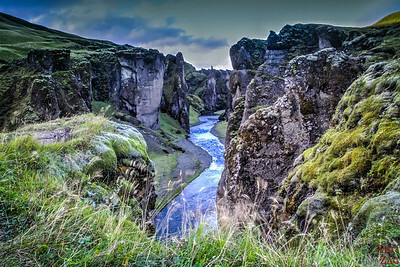 You can for example, hike to the Svartifoss waterfall in its amphitheater of basalt columns. 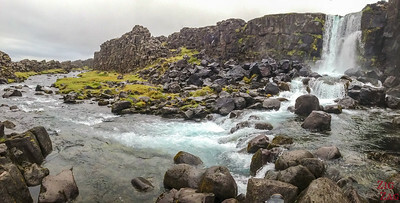 This choice was made to allow for hiking time in Svartifoss. However if you don't plan on hiking, it would be better to switch Reynafjara beach and the Fjadrargljufur canyon to equilibrate the days (as suggested by a reader). Just across from the lagoon, walk to the black sand beach. Regularly iceberg wash off on it and you can walk around them. Drive a little bit on a rough road to discover the 'Batman mountain' with the black beach and small sand dunes. The Hotels the closest to Jokulsarlon are Hali C﻿ountry Hotel and the Skyrhusid Guesthouse. 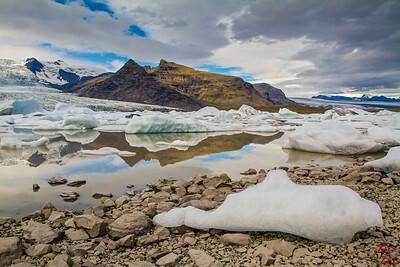 Today discover another glacial lagoon (Fjallsarlon) and drive back all the way to the West Coast and enjoy a relaxing time in the hot milky waters of the Blue Lagoon. Another glacial lagoon. 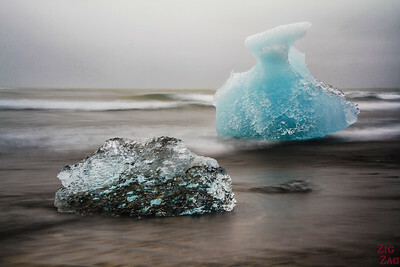 You are closer to the glacier, but there are not always icebergs. More the info on the Fjallsarlon article. Typical Stop in Iceland. Go soak in the milky waters of the Lagoon. More the info on the Blue Lagoon article (don't miss the tip about the hair). Explore Reykjavik and try to catch the Sun Voyager sculpture at sunrise. 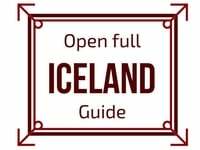 See at the beginning of the article, in the 4 day itinerary for Reykjavik accommodation suggestions. 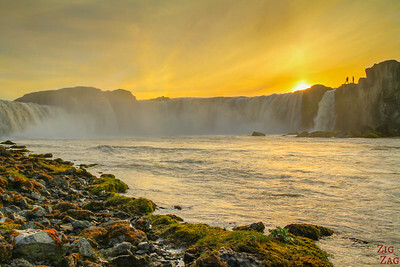 You can stay right by Godafoss at the Fossholl Guesthouse to be able to enjoy it at sunset and under the stars. Check out prices and Book. 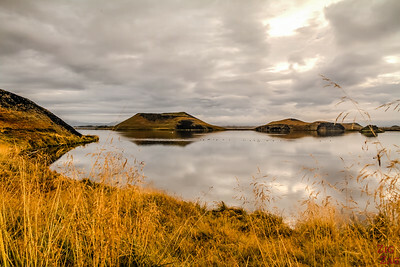 For the next 3 days on your one week in Iceland Itinerary, you can enjoy the best Myvatn has to offer. Here are suggestions to equilibrate those days with walking and discoveries. 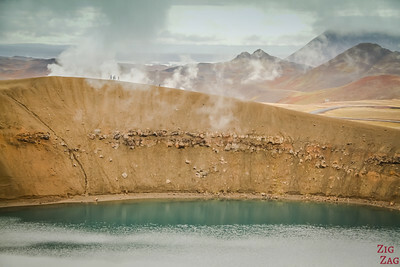 Explore the amazing fumeroles, mud pools and cracks of the geothermal area. It feels like you landed on another planet. But don't stay more than 1 hour! 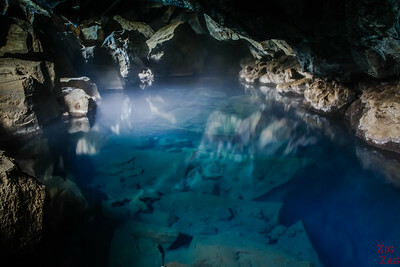 Have a look at this isolated cave filled with burning water. And walk above to see the impressive fissure of the Earth crust! A lava field that it still fuming... should I really say more? Relax in the warm waters of the Nature Baths. Similar to the blue lagoon, the baths of the North are less touristy and, I think, a more enjoyable experience. 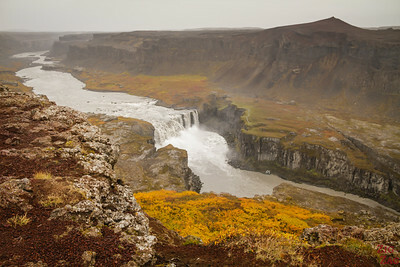 Next on our one week in Iceland we head to a canyon and its powerful waterfalls. Drive up on the other side of the canyon to see Dettifoss from the East Bank. 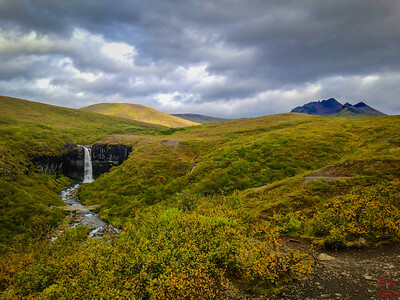 North of Akureyri, explore the mountainous Trollaskagi Peninsula. Don't hesitate in summer to take the inland roads. Visit the turf houses and learn more about how people used to live in those typical houses. First on our 10 day itinerary in Iceland, you can tour the famous Golden Circle with some of the most famous sites in the country. 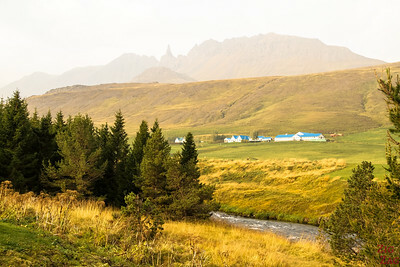 For accommodation on the Golden Circle, consider staying at the Geysir Cottage right next to the Geothermal area or start driving towards the Snaefellsnes Peninsula. Spend the night in the East Fjords (check out options here) or in the town of Höfn. 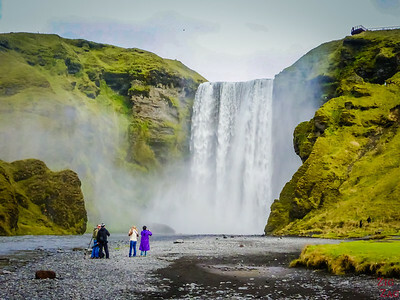 Before heading back to Reykjavik, admire the amazing Skogafoss and Seljalandfoss waterfalls of Day 3 in the South One week Itinerary Iceland. And Finish with a visit to the Blue lagoon for some relaxation. If you are staying around the Ring Road, generally there is no issues. Except for a huge storm, the road is cleared quickly and a lot of the stops are close to the main road. 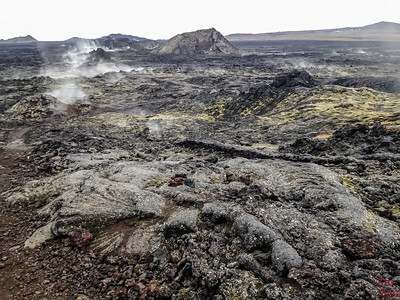 Generally the Golden Circle and The Snaefellsnes peninsula are also cleared quickly but conditions may get more difficult. Learn more on my article above Iceland in Winter. You can post you plan on online forum, but you will get a lot of different opinions and probably people adding locations because you just 'have to see this!'. Have I plan less than 4h30 driving per day in Summer and 3h in Winter? And then you are good to go! I wish you a wonderful Icelandic trip! I am glad you found the information useful. Cycling – WOW! Must have been amazing. Hey, dear, thanks for this beautiful and interesting article! Actually, we are planning to visit Iceland. So we will try to follow your instruction. Ah, Iceland is on my bucket list but I haven’t been able to get there yet. I think it would be like a photographers dream place. Not sure my wife would like it with all the photos I would be taking though haha. Great Itinerary advice, look forward to using it some day! Thanks Michael. Yes it is hard to stop taking pictures in such a beautiful place! And it depends on your level of confidence in driving under Winter conditions. Weather is less and less predictable nowadays so I can’t really tell you what you can expect. That being said, the locations on my 4 day itinerary are touristy so roads are cleared frequently and well maintained. Unless you get a big snowstorm, it should be ok. I stumbled on your website while doing some research for my upcoming trip to Iceland in June 2018. What a gold mine! I’m eating it up! I’m very excited to get to take a mother-daughter trip with my mother for her 70th birthday! We have 9 full days to travel. We were thinking your 7-day wonders of the south trip would be perfect to go at a comfortable pace for the two of us. Can you suggest any places on your 7-day itinerary where one of the days could be stretched over 2 day? Or is there anywhere in the Westfjords that we add for an overnight? I am glad you are enjoying my guides. 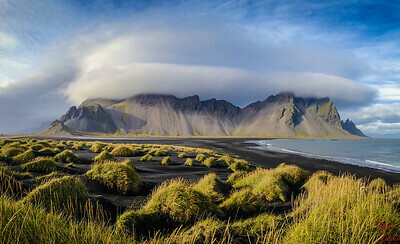 I think you definitively should stretch the Snaefellsnes peninsula for 1 day. There is much to see there and you can visit at a good pace. 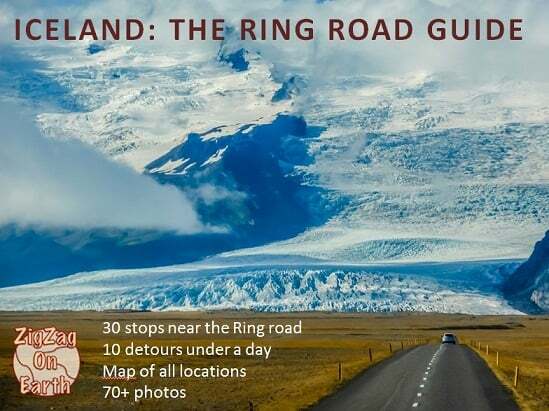 Then maybe you can take one day from after Jokulsarlon to drive up a little in the Eastfjords. It is an easy drive and the landscapes are a bit different. We are planning a 10 day trip to Iceland July 2018. I’m a western Icelander from Spanish Fork, Utah. I’m looking forward to being in places that I have only heard about from my grandfather. 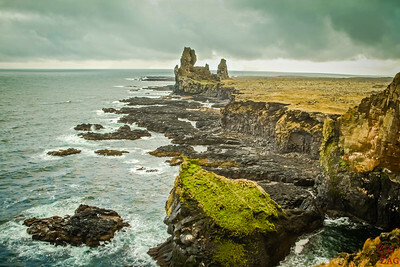 Do you have any information about the Westman Islands and the area around Vik? Also we were wondering about whale watching? Is that better up North or somewhere else on the island? We are planning on traveling the whole island. Hi – thank you so much for the guide. 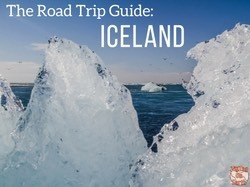 I do have a question about your suggested 4-day Iceland itinerary. We arrive July 12th in the evening and pick up a rental car at 8:30 pm. So we will stay that night in Reykjavik. We return the rental car on the 16th at 3:30 pm, so the last morning can also be in Reykjavik, just as your guide suggests. That leaves us with three full days – the 13th, 14th, and 15th – which also fits into your suggestion. I like your ideas on where to drive to on those days. What I don’t understand is what nights we want the hotel in Reykjavik, vs what nights, if any, we should get a hotel in one of the remote locations. Can you please suggest hotel locations for each day of the 4-day itinerary? Thanks. Glad you are enjoying it. Hi. Thanks for writing. Certainly changing hotels every night is a pain, so that is a nice feature – depending on what sites are given up. Would you say that the compromise is that really cool sites are missed due to not driving out as far? 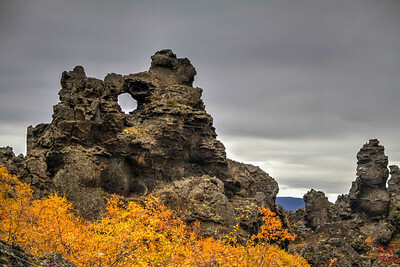 Or do you think of the experience about as good as any introduction to Iceland one can get in 4 days? If you were going to create a 4-day itinerary that did involve multiple hotels, how much cooler would the sites be? Or would you just save on driving? Not sure how long these drives are. For 4 days, going in the various directions, coming back to Reykjavik does not make you miss much. 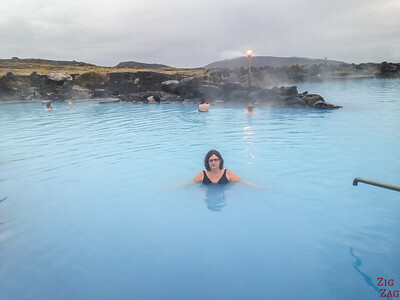 The other option would be to spend the night at Day 3 around Höfn at the end of the South Coast and to come back on Day 4 finishing at the Blue Lagoon. In this alternative you see less of Reykjavik, but you have more time to explore the various stops along the South Coast (and it reduces driving time a lot). Depends if you want to explore the capital city or prefer Nature. That is super helpful. Thank you. Can you please give us a sense of the differences in driving times? One of my friends said some of the sites are 8 hours from Reykjavik. I really don’t know if I did the return every day vs the stay at a remote hotel the difference in driving time. You have driving times indicated in the itinerary. So Jökulsárlón is the farthest out. If we skip that we can save about 8 hours of driving (about an extra 4 out and 4 back including stops) and also save having to swap hotels. Seems like something to skip for efficiency purposes on a shorter trip. I just don’t know how the total experience of an Iceland trip would change with and without Jökulsárlón. I am all about outdoors but will be with wife and three kids as young as age 8. 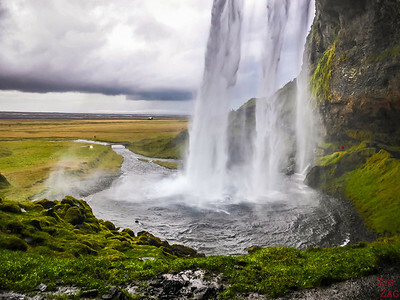 I am wondering if it really makes sense to get past Seljalandsfoss with kids on a 4-day trip? I realize it depends on the people. My wife is trying to swap me to not try to pack too much in.